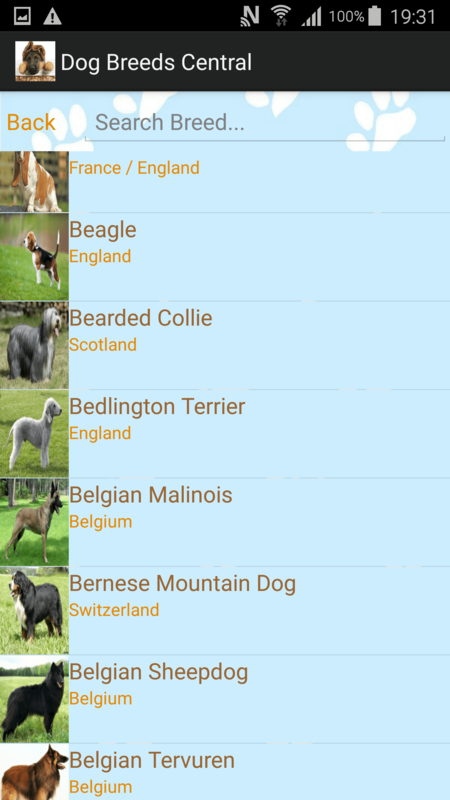 The current application aims in providing you with an overall, and complete, Dog Breeds Library that will be at your disposal with just one button-click. To accomplish such a feat a tremendous amount of data has been collected, analysed and above all, the data has been (triple) cross-referenced; so as to provide you with accurate info. 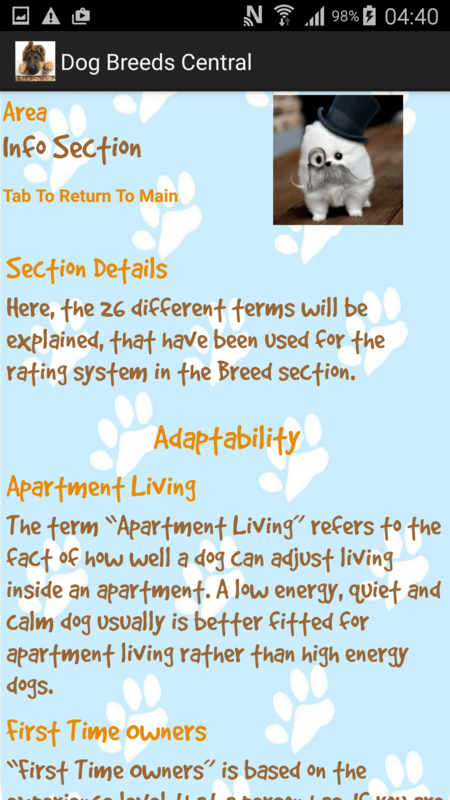 -	Potential Health Issues of each Breed -	Each Breed’s scoring in 26 different categories; for the scoring system a 5 Star-Point Rating System was utilized. -	No Internet connection required! In this section, data of the World’s Top Breeders and Kennel Clubs will be illustrated. The purpose of this section is to give you a list, and all necessary data, of the world’s finest. Consequently, listing the world’s finest with all necessary data of them may prove to be of imperative importance to you; considering the fact that when purchasing a dog you will be together for years! Your dog will be a member of your family! 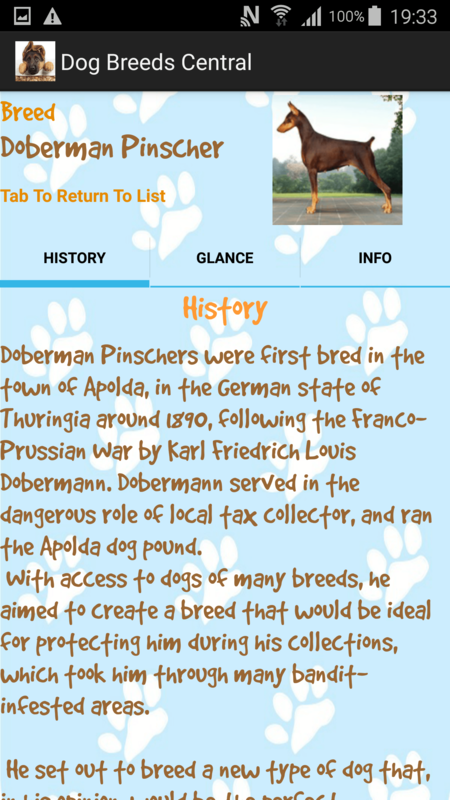 Dear Dog Lovers, since the purpose of the current app is to become an overall Dog Library if you do not see a breed listed please feel free to contact me. 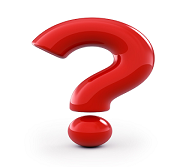 Appreciating your support and help in updating the library’s application, a contributors section will be created, inside the application, in which your name, and contribution (i.e. dog breed) will be displayed. 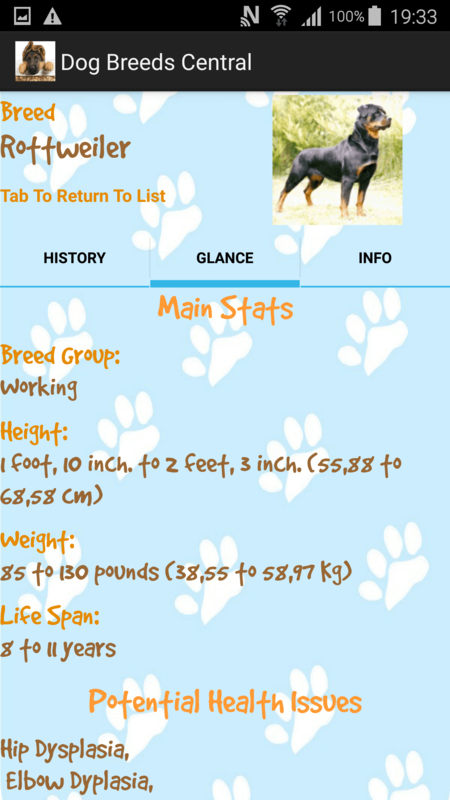 For instance, if you point us to a dog breed that is already not included in the list you will count as a contributor and therefore, your name, or nickname, will appear in the app (if you wish not for your name/nickname to appear in the application please tell the developer not to include it). Moreover, for any questions, or issues, that you may have, do not hesitate to email me. The colour in Higher OS will appear orange, as seen in the pictures, while in the Lowest OS, like 4.2 Jelly Bean will appear as blue.